Check complete details and process of UP Scholarship Online Form 2018 from this article. There are many merit candidates who cannot afford money for their education. So keeping all this in view the Government of Uttar Pradesh launches UP Scholarship 2018. And accepting UP Scholarship Online Form 2018. The registration process starts from July 2018 to October 2018. The Government is offering scholarships for Class 9, 10, 11, 12 and Dashmottar Scholarship for UG, PG, Diploma, Certificate Courses. We are providing correct information about UP Scholarship Registration 2018. Hering about the scholarship excites most of the citizens, but they need to check all the requirements initially. At first, all the students must fill the online application form. The UP Government is providing Scholarship for all the talented students to given some financial help. Also, every year a large number of students has got the scholarship. Complete information about UP Scholarship Online Form 2018 details is given in this section. 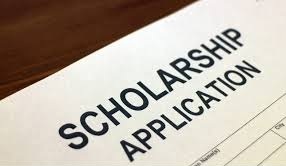 Go to this entire page and check the UP Scholarship Registration Process 2018. Apply for UP Scholarship Scheme 2018 and fulfill your dream. This is the best chance for the students who are financially weak. Fill the UP Scholarship Online Form 2018 and submit before the last date. Students can fill the online application form and submit before October 2018. All the information about Fresh Renewal Registration 2018 details is provided on a single page. By accessing the UP Scholarship 2018 login details candidates can view their UP Scholarship Status and Important Dates. Uttar Pradesh Government is inviting UP Scholarship Online Form 2018 for the session of 2018-2019. Students who are studying Class 9, 10, 11, 12 and Dashmottar Scholarship for UG, PG, Diploma, Certificate Courses they are eligible to apply for UP Scholarship Registration Process 2018. Interested candidates can check the full details from this page. Also, students, who have all eligibility criteria they must apply for UP Scholarship Online Form 2018. Before going to apply candidates must read the entire article. The main intention of UP Government is to provide financial assistance for the citizens of all the categories. The Uttar Pradesh Government launches two scholarship scheme. The First scheme is Pre Matric Scholarship and second is Post Matric Scholarship Scheme. All the 9th and 10th students come under 9th and 10th students. And the Candidates who are in college or studying their graduation level studies they can apply for Matric Scholarship Scheme. Students can apply UP Scholarship Online Fresh Renewal Registration 2018 for the sessions of 2018-2019. To improve the education level in India the Uttar Pradesh Government is providing a scholarship for all talented people. Uttar Pradesh Government has provided UP Scholarship 2018 to the students who have financial problems. Apply for Fresh Renewal Registration 2018 process and make a bright future. The UP government support all the candidates to fulfill their dream to study. This golden chance is for both Pre and Post Matric courses. Check this post completely and fill the UP Scholarship Online Form 2018. In the below section students can check Eligibility Criteria, Courses List, UP Scholarship Schemes, Application Fee, Important Documents, Important Dates, and How to Fill the Application Form. Students who want to study their 11, 12, UG, PG & Doctoral level course they can apply for this Scholarship Registration Process 2018. Students who are from General/ Other Backward Classes/ST/ST and other category are eligible to apply for UP Scholarship Online Form 2018. And the Undergraduate, Postgraduate, Diploma Holders and Certificates courses are eligible to apply for UP Dashmottar Scholarships. There is no application fee for the 2018-2019 session. Students who have UP Scholarship, they need to get online payment and bank account. Press on “Renew” button under post-matric or pre-matric. Enter Registration Number/ Mobile Number and other required information. Once check the complete details. Take a hard copy of your filled form and submit it to your college before the last date. Students who want to continue their studies they can apply for UP Scholarship Online Form 2018. To help the future studies the Uttar Pradesh Government offering Pre-matric Scholarship Scheme, Matric Scholarship Scheme, and Post-Matric Scholarship Scheme. Students can apply for Fresh Renewal Registration Process 2018 before the last date. Stay tuned to our website Sarkari Recruitment and get more information about Uttar Pradesh Scholarship Scheme 2018.